1. Shall, at a minimum, (a) collect a first-draw 250 milliliter sample of water, (b) flush for 30 seconds, and (c) collect a second-draw 250 milliliter sample from each source of potable water located at each corresponding Pre-K through grade 5 school building. 2. If more than one source of potable water (faucet) utilizes the same drain, then the first and second-draw sampling protocol must be followed for only one of the sources while only the first-draw 250 milliliter sample of water is required from the remaining sources (faucets). 3. The water shall have been standing in the plumbing pipes for at least 8 hours, but not more than 18 hours, without any flushing of the source of potable water before sample collection. 4. Samples must be submitted to an Illinois Environmental Protection Agency accredited laboratory for analysis. 5. Written sampling results must be submitted to the IDPH within 7 business days of receipt of the results. 6. If any of the samples taken in the school exceed 5 parts per billion, the school district must notify, via written or electronic communication, the parents or legal guardians of all enrolled students (a) corresponding sampling location within the school building and (b) the United States Environmental Protection Agency's website for information about lead in drinking water. 7. If any of the samples taken at the school are at or below 5 parts per billion, notification may be made as provided above or by posting on the school's website. 8. Within 90 days of the effective date of this amendatory Act of the 99th General Assembly, the IDPH shall post on its website guidance on mitigation actions for lead in drinking water, and ongoing water management practices, in schools. In preparing such guidance, the IDPH may, in part, reference the United States Environmental Protection Agency's 3Ts for Reducing Lead in Drinking Water in Schools. 9. Sampling and analysis shall be completed by the following applicable deadlines: for school buildings constructed prior to January 1, 1987, by December 31, 2017; and for school buildings constructed between January 2, 1987 and January 1, 2000, by December 31, 2018. 10. By no later than June 30, 2019, the IDPH shall determine whether it is necessary to require schools constructed in whole or in part after January 1, 2000 to conduct testing for lead. 11. 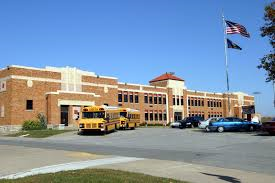 A school Board, by resolution, may use excess funds on hand in the Fire Prevention and Safety Fund for sampling for lead in drinking water in schools, and for repair and mitigation due to lead levels in the drinking water supply.